10X Genomics, a California-based company in the genomics area, has expanded to The Netherlands and opened their European Headquarters in Leiden. The Netherlands Foreign Investment Agency (NFIA) and InnovationQuarter assisted 10X Genomics with their settlement at the Leiden Bio Science Park. 10x Genomics is the leader in single-cell and other areas of genomic analysis, all of which enable greater resolution and accelerate the understanding of new biology and disease. 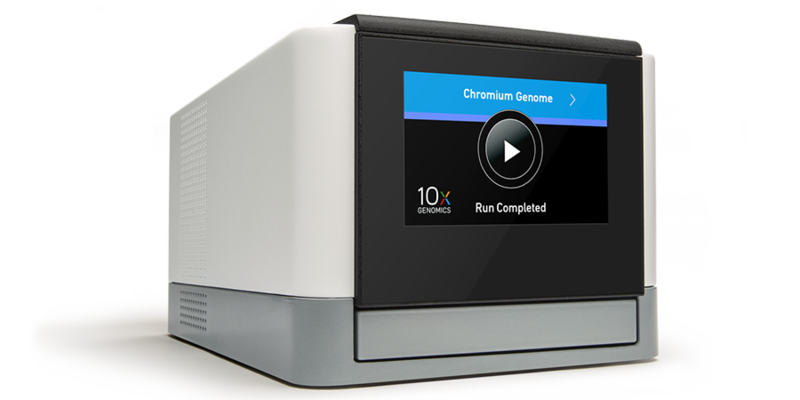 10x Genomics builds tools and applications that leverage advances in sequencing along with innovations in hardware, chemistry and software. Its customers have already analyzed over 130 million single cells, broadly equivalent to sequencing 18,000 human genomes. 10X Genomics began direct sales to Europe, Middle East and Africa (EMEA) in late 2015, and continue to grow their presence in the EMEA genomics market. 10X Genomics has distributed sales and support teams located in the field across the region who will receive further support from the new central office located in Leiden. “We see Leiden as an attractive option for inward investment by life science companies due to the excellent infrastructure, including LUMC and the Leiden Bio Science Park. As 10X Genomics expands our business in this region, InnovationQuarter, the regional development organization for the region can connect us with universities where there is a talented pool of local university graduates with advanced scientific training for recruitment,” stated Sandy McBean, Vice President of EMEA Sales and Support for 10X Genomics. According to analysts, the genomics sector could grow to $24 billion by 2022 when considering the large potential scope of genomic science impacting areas of research like gene editing and precision medicine. The role of genomics in healthcare is becoming increasingly important, and having a leading company in that field located in Leiden further strengthens the Dutch life sciences & health ecosystem and its position in the global life sciences market. Mayor Lenferink, Mayor of the city of Leiden, stated, “I am pleased to welcome 10X Genomics, a pioneering company in the area of genomics to the Leiden Bio Science cluster.” The Leiden Bio Science Park is the largest and most mature life sciences cluster in the Netherlands with focus on Translational Drug Discovery and Development, Oncology, Vaccines and Regenerative Medicine. The NFIA and InnovationQuarter assisted 10X Genomics with information on the investment climate in the Netherlands and office locations within the Dutch life sciences hotspots. We are looking forward to connecting the company to the life science community in the Netherlands.